Plenty of bugs in EPA priorities — Genetically Targeted Pesticides safer than DDT ? As the bed bug epidemic continues to spread through New York City and elsewhere, the EPA is now planning to commence research aimed at developing pesticide alternatives, especially genetic-based solutions, rather than allow DDT to be used. PBS NewsHour reported Monday that chemically-based anti-bed bug methods, particularly DDT, are “noxious but effective” and highlight the growing resistance of bed-bugs to more commonly employed pesticides. They grow as large as ladybugs and can live a year without eating. They move from room to room and leave itchy, bloody welts on skin when they bite. And they wreak havoc on the minds, moods and wallets of the people on which they feed. Bob Perciasepe, deputy administrator of the Environmental Protection Agency, described his own battle with bed bugs after his daughter's New York apartment became infested. They tried store-bought pesticides, called in exterminators again and again, but the tiny vermin still clung to the mattress, surviving. 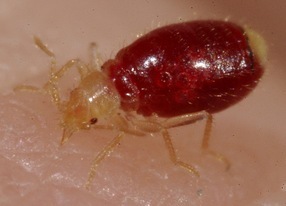 "My daughter once described it as she thought she had leprosy," Perciasepe said to a crowd of more than 300 at the agency's Second National Bed Bug Summit. In the end, he added, his daughter and her roommates threw out almost everything they had, and moved out. Hundreds of scientists, policy officials, health and housing workers, and bug experts gathered at the Georgetown University Medical campus last week to hammer out a new plan to fight the scourge of insects that are no longer merely part of a common bedtime refrain. With a long list of restrictions preventing the use of chemicals like DDT, which are noxious, but effective, researchers and pest control officials are in a race to develop the best new ways to detect and treat them. "Bed bugs have consistently been found to be resistant to a number of previously successful pesticides," said Steve Owens, EPA Assistant Administrator for the Office of Chemical Safety and Pollution Prevention. "It is because of this growing resistance that we continue to reiterate that there is no 'silver bullet' in fighting bedbugs." Researchers are working on several fronts to develop new ways to combat them. Understanding the genetics of bed bugs, along with the chemicals and odors that attract them, are high on the list. They found that a tiny amount of a common chemical found in blood, called adenosine triphosphate (ATP), is just as appealing to bed bugs as blood when it's added to water, for example. 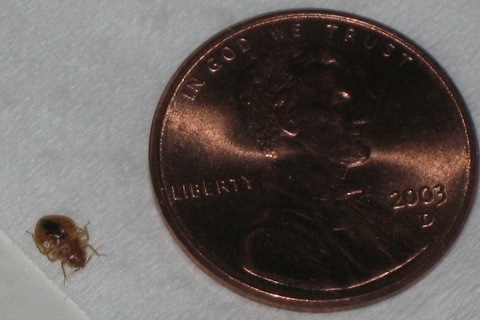 Bed bug research dates back to World War II. However, between 1940 and 2000, the insects' numbers plummeted, and research on them waned along with their decline. In the past decade, since the resurgence, agencies have directed more funds and workers toward the problem. But compared to mosquitos, research numbers are still paltry, said Coby Schal, an entomology professor at North Carolina State University. "We have 50 times more information on mosquitoes than we do on bed bugs," he said. The bed bug genome can also give scientists important information that can be used in pest control, Schal said. Scientists have identified several different genotypes of bed bugs, a sign that they are genetically diverse and that they likely arrived at multiple locations along the eastern United States. High on the priority list is developing genetically targeted pesticides, said Stephen Kells, professor and entomologist at the University of Minnesota. "Genes encode for proteins, and if we have proteins that are key to bed bug biology and don't show up in other organisms, then perhaps we can disrupt the insect in a novel and unique way… which for risk management would be highly desirable."